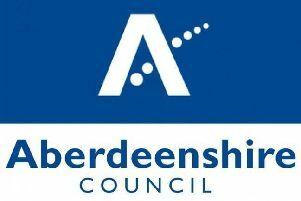 A community garden in Kemnay, a sensory garden in Balmedie or a sensory garden and allotments in Alford could be created following a public vote. These projects have been short-listed as the finalists in a campaign to improve communal outdoor spaces in the north-east. Stewart Milne Group launched its Greener Spaces, Better Places community initiative last month and three projects have now been chosen from among dozens of entries. The leading independent home builder and timber systems manufacturer devised the campaign to transform communal outdoor areas for the benefit of whole communities by making them greener and more attractive. The campaign called for projects that would encourage greater bio-diversity through the planting of new grass, flowers and trees which, in turn, will attract more species of wildlife. Greener Spaces, Better Places has resulted in dozens of applications from across the regions. The three entries for North-East Scotland have made it to the shortlisted judged by a panel consisting of Carole Baxter from BBC’s Beechgrove Gardens, Fiona Weir, Living Nature Manager of RSPB, and John Low, Managing Director of Stewart Milne Homes North. The finalists are a project to develop a sensory garden and allotments for Alford and District Men’s Shed; the creation of a sensory garden in Magnificent 7s Woods in Balmedie for Belhelvie Community Trust; and the creation of a community garden on a currently disused site at Birley Bush for Greener Kemnay. For more details or to vote visit Stewart Milne Group’s Facebook page (facebook.com/StewartMilneGroup) and Twitter (@SMilneGroup and @SMilneHomes).